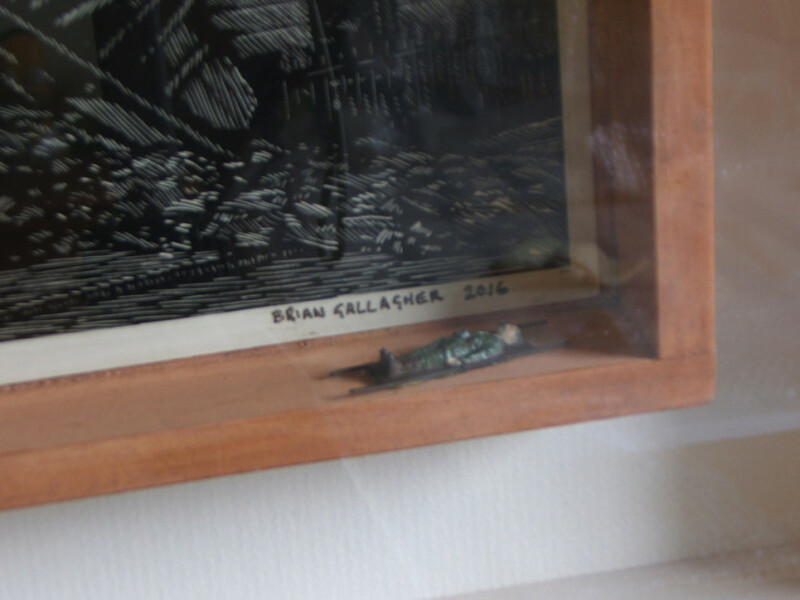 This features in tonights exhibition that opens in the Ranelagh Arts Centre. A piece I did for the 1916 Rising Centenary. 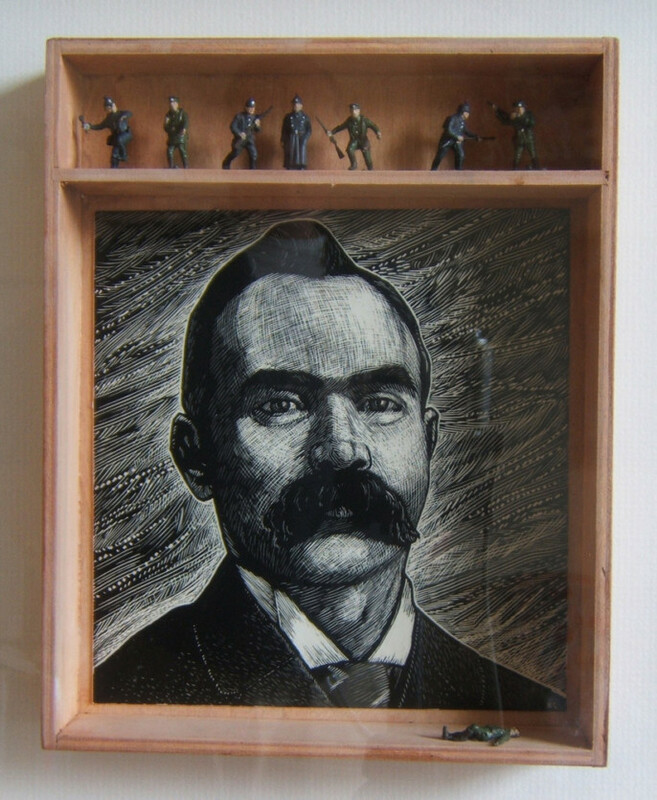 The top panel is a Scraperboard portrait of James Connolly. 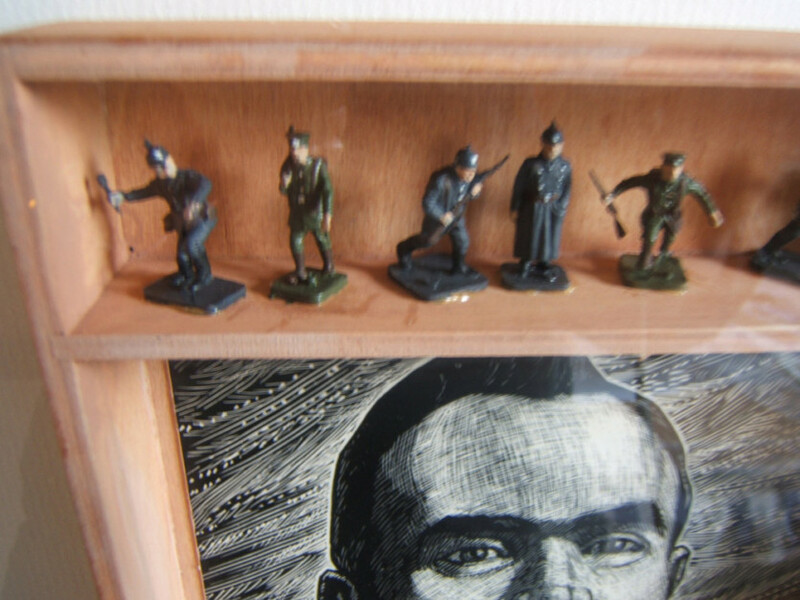 Above his head in the recess are hand painted First World War soldiers. 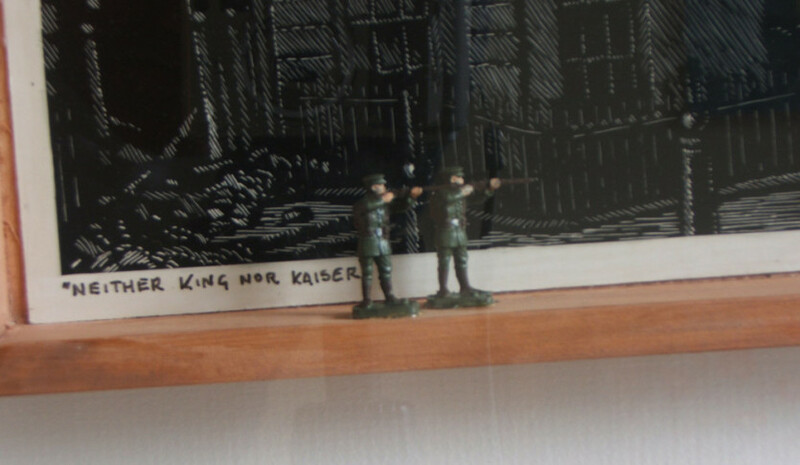 “We serve neither King Not Kaiser, but Ireland”. 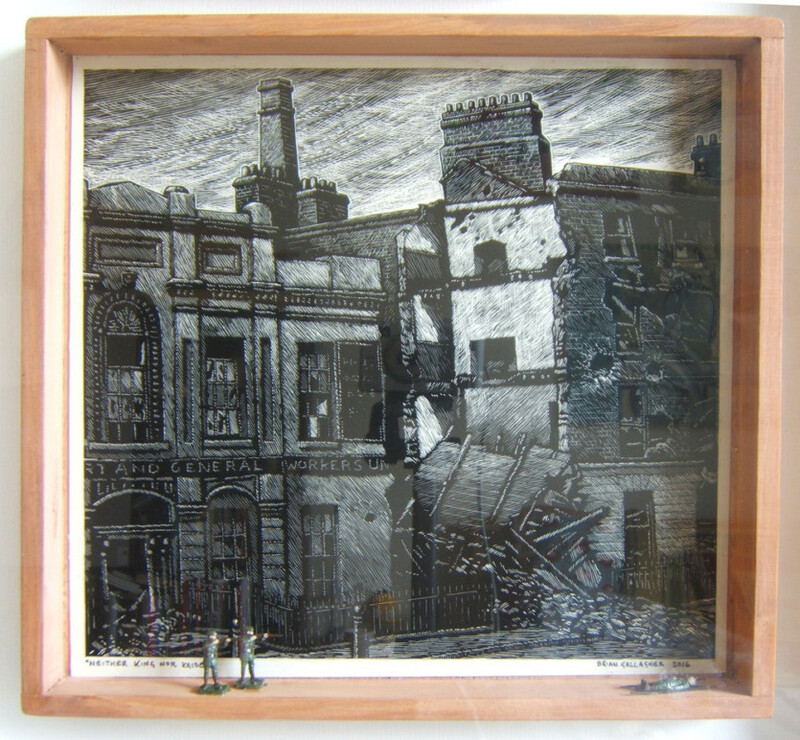 The lower panel shows Liberty Hall in ruins after the shelling from the gunboat Helga which was anchored in front of the Custom House. A suggestion of a firing squad and Connolly on a stretcher stand on the lower recess.